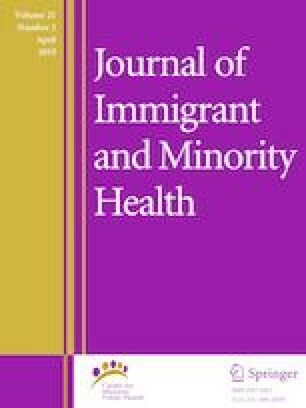 US Hispanics are a disadvantaged population that paradoxically has lower mortality rates than non-Hispanic whites. We conducted a descriptive analysis of age-adjusted mortality rates for 113 causes of death for US Hispanics (USH) and US non-Hispanic whites (USNHW) during 1999–2015. All-cause, age-adjusted mortality rates per 100,000 were: 581.1 USH and 788.8 USNHW. Lower Hispanic mortality from cancer, heart disease, and respiratory disease accounted for almost all the all-cause mortality gap. USH rates were higher than USNHW rates for cancers of the stomach, liver, and cervix; diabetes mellitus; liver disease; and homicide. Behavioural factors such as less smoking among USH probably drive their lower rates for the major chronic diseases. Social disadvantages contribute to elevated risk for certain cancers, diabetes, and homicide. Efforts to improve Hispanic well-being in the US should remedy the social disadvantages while preserving the health advantages the population enjoys. Centers for Disease Control and Prevention National Center for Health Statistics. Multiple cause of death 1999–2015 [online]. Atlanta: National Center for Health. https://wonder.cdc.gov/mcd.html. Accessed 17 Jan 2017. Sullivan KJ, Husak LE, Altebarmakian M, Brox WT. Demographic factors in hip fracture incidence and mortality rates in California, 2000–2011. J Orthop Surg 2016;11(4). https://doi.org/10.1186/s13018-015-0332-3. U.S.-Mexico Border Health Commission. Border lives: health status in the United States-Mexico border region, 2010. http://www.borderhealth.org/files/res_2213.pdf. Accessed 8 Jan 2017. Hing E, Rui P, Palso K. National Ambulatory Medical Care Survey: 2013 [online]. Hyattsville: National Center for Health Statistics; 2017. https://www.cdc.gov/nchs/data/ahcd/namcs_summary/2013_namcs_web_tables.pdf. Accessed 6 Mar 2017.